Are you ready to begin the summer camp? 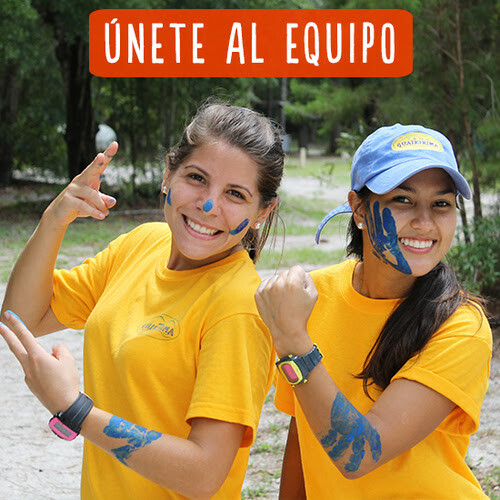 Go thru this checklist to find out, make sure you are ready to have the best summer camp experience possible. 1. Register: Give us your information so we know you are interested and we'll give you a call. 3. Save your spot: To reserve your spot you must do a $500 deposit, just follow the instructions once you create your account in the system. 4. Fill the camper application form: You will need health information (allergies, vaccinations) make sure you are ready before beginning it on our system. 5. Camper equipment: what should each camper bring to come to camp. Click the button to the right to get the camper equipment. 7. Finish your payment plan: Must be done before the bus day. 8. Bring your friends: This is a life changing experience, bring everyone you would like to share this adventure with. 9. Get on the bus: We'll meet at Weston Regional Park, this 30th of June at 10:00 am for the first session and the 21st of July for the second session.